LAKEWOOD, New Jersey (WABC) -- A man was shot in the head during a violent home invasion in New Jersey Monday night, and police are searching for two additional suspects after taking one into custody. Authorities say three men broke into a house on Eisenhower Street in Lakewood around 9:15 p.m. and demanded money from the resident. Witnesses reported hearing a gunshot before the suspects ran from the house. The 32-year-old victim is being treated at Jersey Short University Medical Center in Neptune. Police say he is expected to survive. While on scene, Lakewood police received a report of a suspicious person walking in an adjacent community. 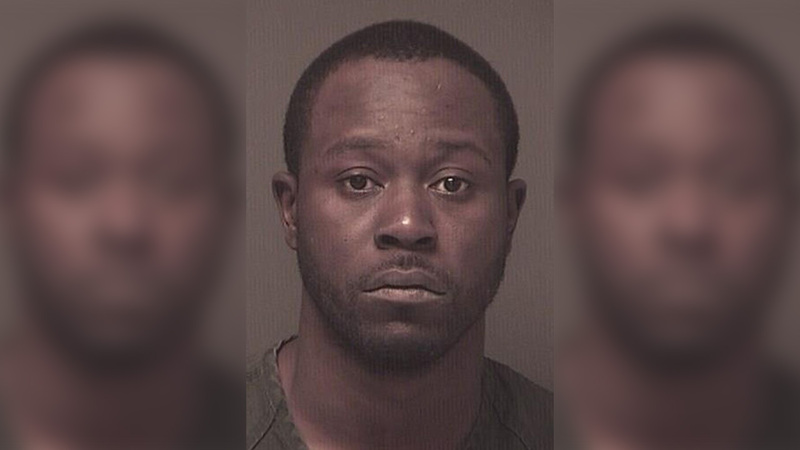 Police charged 27-year-old Terence Ousley, of Asbury Park, with trespassing in the complex before determining he was one of the three men wanted in the home invasion. He has been charged with attempted murder, burglary, robbery, possession of a handgun and possession of a weapon for an unlawful purpose. He is being held in lieu of $150,000 bail.